The 6X19 Development System is the proof of concept platform for the ICOP 6119/6319 ultra compact System-On-Modules. 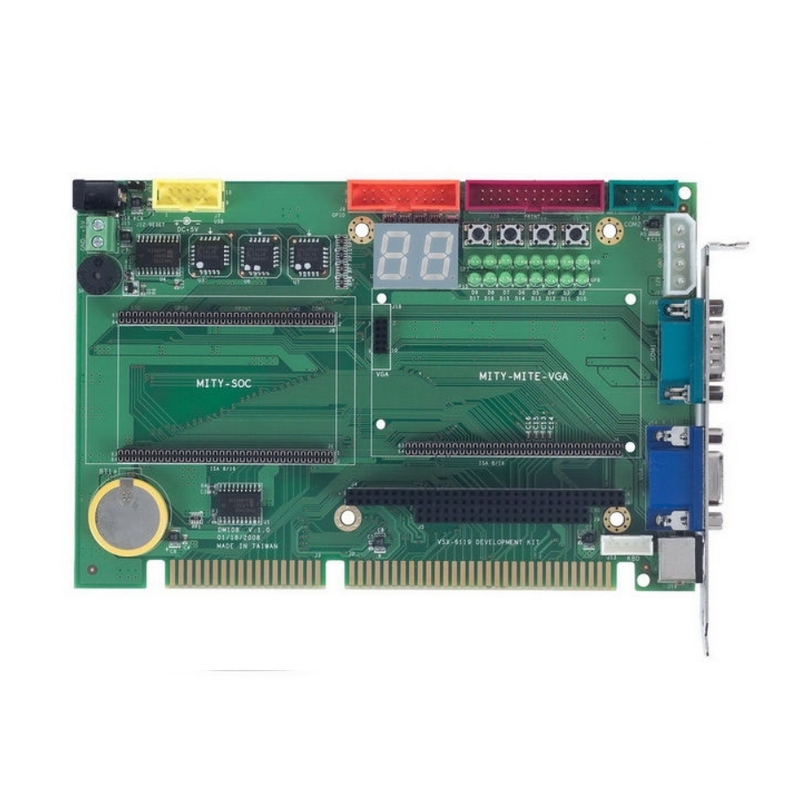 Offering the very lowest cost SoM design route, the ICOP-6119-1 Development System is supplied with a full complimentary cable kit enabling instant access to common PC interfaces, supplied as an ISA slot card, permitting painless ISA peripheral card functional proving. Utilising this ready to run platform enables baseboard design to run parallel with software development, vastly reducing overall development time. Getting your product to market faster than your competitors is critically important and with DSL’s range of development platforms, it’s not only possible, it’s simple.